This case study reminded researchers of the value in using formal methodologies to gain an objective balanced perspective of actual practice. By using models and survey instruments that gathered objective input from key stakeholders in the higher education market, several of the true underlying factors were revealed. The key instrument used in the case study allowed us to objectively measure if flexible e-learning was at least as effective as campus delivery mode. 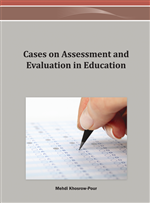 More so, the assessment was not just performance and not just student satisfaction – instead the outcomes assessed included six factors that were linked to Australian university accreditation: Industry focus, resources/content materials, critical thinking activities, teaching quality, student satisfaction, and student performance (including completion). One of the most interesting aspects of the case study was that we are seeing history in the making to some degree in that as a result of the 2008 global economic crises, the international student market is changing which will force universities to change what and how they offer higher education in the future. More countries (and their populations) in the world are seeking a credible university higher education and they do not always want to travel to holiday destinations to obtain that… the world economic model is changing, continuing to increase the demand for education, yet changing how that product/service must be delivered. Successful higher education institutions around the world are already showing the followers how to do that. This case study provides some ideas and benchmarks for becoming more competitive in higher education, and while the model was developed and used in Australia, likely it can be applied elsewhere since the majority of students feeding into this model and research were international. This case study discusses unique socio cultural and political challenges faced by Australian universities in higher education course design and delivery. Many researchers abroad might be surprised to read that synchronous e-learning in higher education is not typically practiced in Australian universities, except in research pilots, at least as compared to the virtual learning environments and methods that are reported in UK (Biggs, 2003; Laurillard, 2002) and USA literature (Weller, 2007; Bates & Poole, 2003; Palloff & Pratt, 2002). Nonetheless this case compares the same e-learning course with a traditional campus version delivered to both domestic and international or multi-cultural students. It is difficult to position this research into the Australian theoretical or empirical contexts because the term ‘e-learning’ is often applied in rudimentary and ambiguous ways, without actually meaning online synchronous student interaction for learning (Eklund, 2005; Brabazon, 2002; Manathunga, 2002). In Australian higher education theory, e-learning often refers to a student having Internet access to campus systems, primarily for convenient access to materials, asynchronous group discussions and submission of assignments (Lock & Redmond, 2008; Pauli, 2007). Exceptions do occur such as in science, business and military where synchronous interactive e-learning is being used for continuing education (Zimmer, Billaud, & Geoffroy, 2006; Newton & Ellis, 2005; Zhang, Zhao, Zhou, & Nunamaker, 2004). Additionally, from experience and the literature (Kobas & Renzie, 2005; Karemera, Reuben, & Sillah, 2003; Stevens-Long & Crowell, 2002), comparing face-to-face with e-learning delivery for effectiveness is difficult because very little of the context may be consistent between the two modes (lack of experimental control). The instructor, materials, assessment requirements and teaching methods often differ (Drent & Meelissen, 2008; Kobas & Renzie, 2005; Grant, 2004). Students often have different levels of experience and/or learning styles, some favoring e-learning mode (executives, managers or engineers) as compared with others preferring face-to-face tutoring, like English second language (ESL) or inexperienced adolescents. There is considerable debate in the empirical literature on whether e-learning (or online education) is as effective as traditional face-to-face (campus) delivery. Many empirical studies have found e-learning is as effective as, or better, than face-to-face mode (Strang, 2007; Cybinski & Selvanathan, 2005; Gao & Lehman, 2003; St Hill, 2000). In the literature, several meta-analysis of e-learning versus classroom effectiveness studies have been inconclusive about the ‘(no) significant difference’ finding (Coffield, Moseley, Hall, & Ecclestone, 2004; Olson & Wisher, 2002; Russell, 2002; Joy & Garcia, 2000). Another unresolved dimension in comparing e-learning to campus-based delivery is determining what metrics should be used: Student grades, student satisfaction, organizational costs (less faculty, less time to design/deliver), environmental impact (travel, paper usage), and so on. It was the proposition of a cost-effective blended teaching model by Laurillard (2007) that inspired documenting this case study. Most importantly, few if any empirical studies of learning use a ‘balanced measure’ of effectiveness. A ‘balanced measure’ refers to benchmarks that are valued by all relevant stakeholders. The assessment paradigm used here is a balanced one, which is conceptually linked to the key stakeholders, namely: Students, faculty, administration, and the public-at-large through university accreditation agencies.